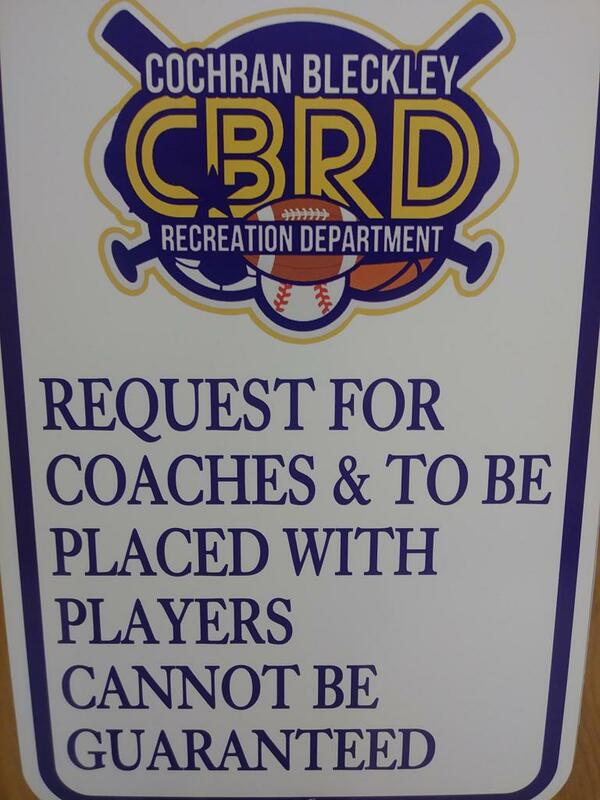 The Cochran-Bleckley Recreation Department offers year-round activities, sanctioned by the Georgia Recreation Parks Association (GRPA), & Dixie Youth Baseball for the youth of our community. The Department operates eight ball fields, one football/soccer field, and a gymnasium on 28 acres at 250 W. Dykes Street in the City of Cochran. Over 1,500 youth participate annually in baseball, softball, football, fall ball, summer soccer, winter soccer, and basketball. Text CBRD1 to 84483 to receive Rain out and Registration information! Volunteer Coaches Packet *ALL COACHES MUST FILL OUT A NEW COACHES PACKET AND BACKGROUND CHECK FOR EACH SPORT EACH SEASON. 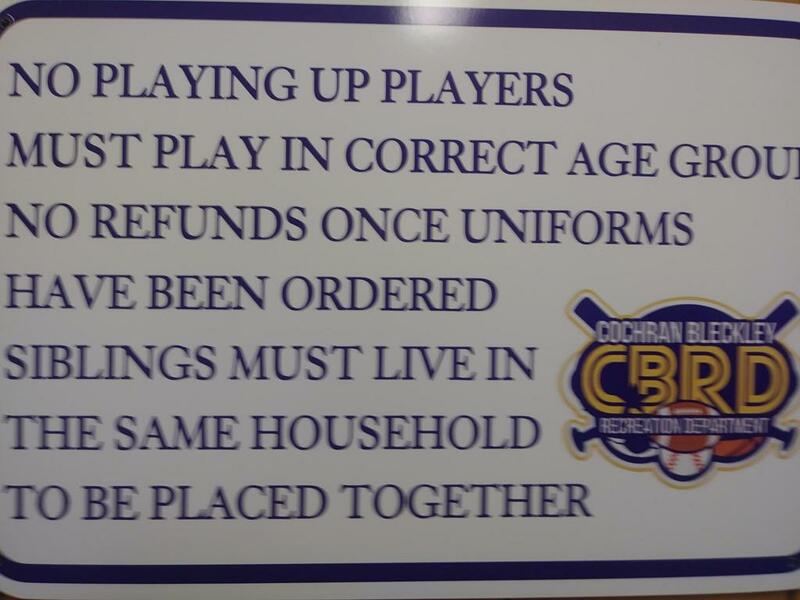 Interested in becoming a sponsor of Cochran-Bleckley Recreation Department? ©2019 Cochran-Bleckley Recreation Department / SportsEngine. All Rights Reserved.